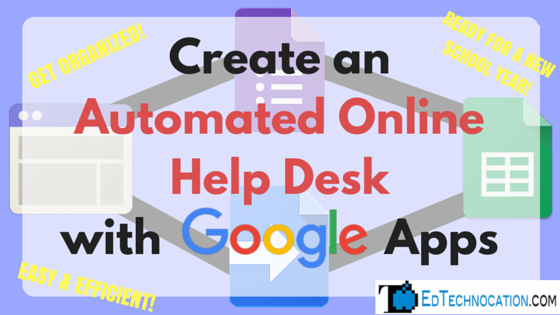 EdTechnocation: Create an Automated Online Help Desk with Google Apps! 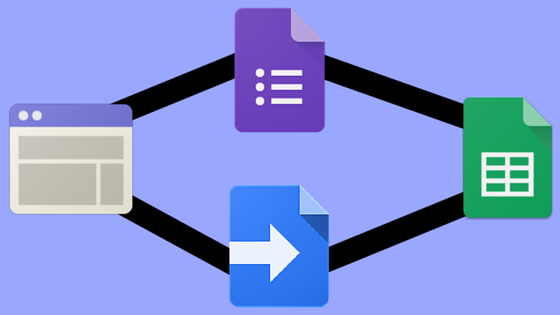 Create an Automated Online Help Desk with Google Apps! While working at a public elementary school as a Technology Coordinator back in 2013-2104, I wanted to find an efficient (and free) way to implement a help desk support system with Google Apps. I created the Automated Online Help Desk w/ Google Apps based on this developers tutorial. Read on to learn how you can easily create one for your school! The Automated Online Help Desk w/ Google Apps uses a combination of Google Forms, Google Sheets, Scripts, and Google Sites (classic version). I've laid out all of the steps in a easy to follow tutorial! You don't have to be a script or coding guru! I don't personally use this Help Desk system any more because I've changed schools and they use their own Help Desk software. However, I frequently get educators and IT support emailing with questions and praise about it so I continue to support it! I recently created a Google+ Support Community at the request of a user. Consider joining the community to ask questions and share ideas! With a new school year quickly approaching, consider giving the Automated Online Help Desk w/ Google Apps a try! Or share this with your school or district administrator or IT support office. Nice post! Thanks for sharing this informative content, its very helpful for me.